Eduexam online test management software offers the most powerful user-friendly computer- based education software for educators at a very affordable price. The purpose of Online Examination Software is to take online test in an efficient manner and no time wasting for checking the paper. The main objective of online examination software is to efficiently evaluate the candidate thoroughly through a fully automated system that not only saves lot of time but also gives fast results. For students they give papers according to their convenience and time and there is no need of using extra thing like paper, pen etc. Different adjustable modules are provided in the software system for details like student information, subject, number and pattern of questions set by authority and an evaluation system along with result providing module. 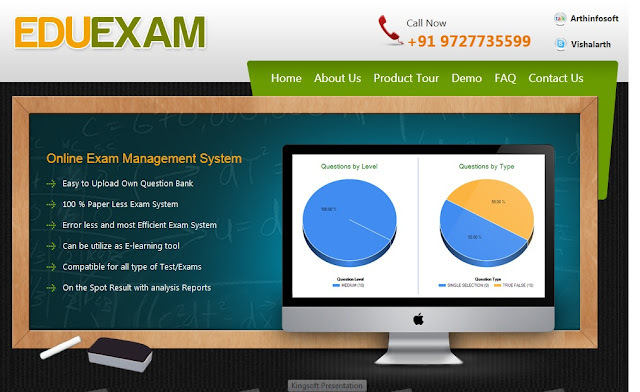 Custom Web Based Exam Management System is a system which is used by any educational institute or any organization who are conducting exam for job or any other purpose. This system will help them to conduct an online exam. This system is used to conduct an aptitude paper for admission or job purpose and it will also help to generate a question paper for educational institute. 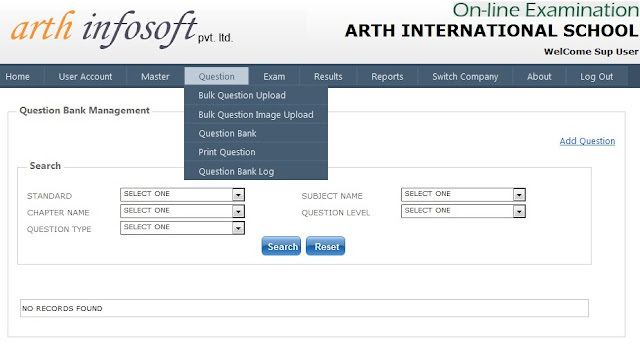 At the time of generating Question Paper/ Exam admin have to choose the ratio of questions like Easy, Medium or Hard as he has entered at the time of upload of questions. According this the exam will be generated. Even admin can define exam type as Time Bound exam or without time limit exam. EduExam is not only for the Online Exam but with this admin can upload the study material in the form of Documents and Video files. The advantages of online exam software include time saving. 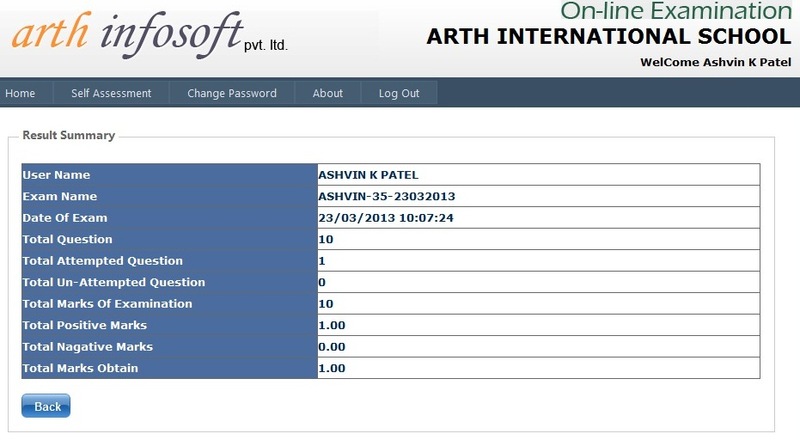 This software saves on time since the learners are provided with questions which they provide answers to and are allowed to submit and commit their time to other activities, unlike paper based systems it can be seen that this software helps to save on time as one is not forced to remain stationed in a classroom after completing his or her exams. This software covers each and every department of the school and makes functioning of any educational institute effortless. 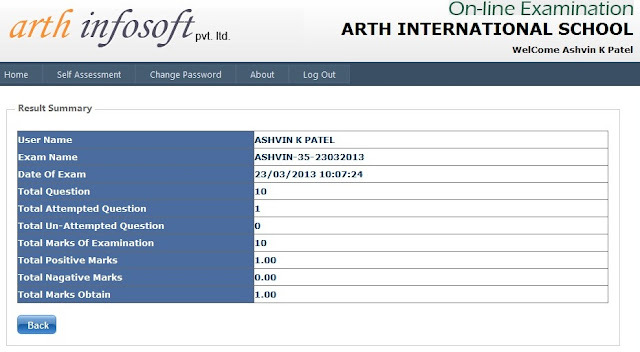 This software is designed keeping in view the requirements of the particular school. The software provides a secure database structure with a login authenticated system that organizes stores and retrieves real time information. This online exam creator can be customized according to individual school or college needs and ensures effectiveness in the performance of schools as well as their students. EduExam Software offers a complete solution for Computer Based Test (CBT) You can create your own unique Tests and conduct the examination. Contact for Online Examination Software. The best way to demonstrate our expertise is to show you our work. The Online demo will give you an inside look on the ideas and creativity we bring to the projects. As a leading Software Solution and web development firm, we focus on maximizing the returns to our clients. I'm really loving the theme/design of your website. Do you ever run into any internet browser compatibility problems? A handful of my blog visitors have complained about my website not operating correctly in Explorer but looks great in Firefox. Do you have any advice to help fix this problem?